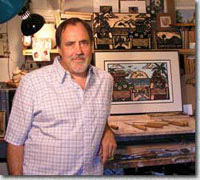 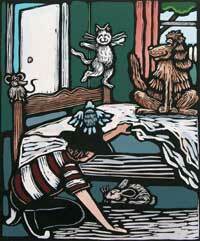 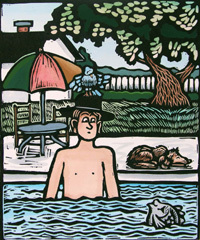 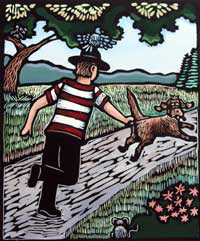 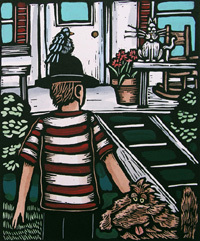 Award winning woodcut artist, John Schirmer, creates a children's book with non-stop smiles for young and old alike. 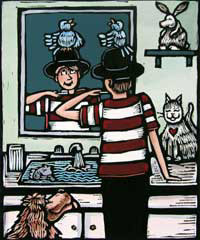 Richly illustrated with 14 woodcuts, the 16-page poem is designed to make you laugh. 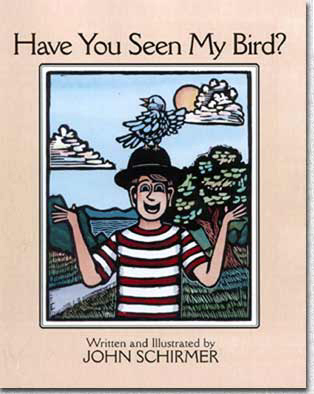 HAVE YOU SEEN MY BIRD? 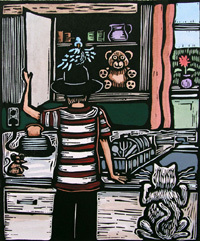 You may also order an original hand pulled, hand colored illustration, 16"x18" matted or framed.